Background: The Virgin River Valley is 80 miles north of Las Vegas. Nestled there, in the Mojave Desert, is the small city of Mesquite, NV (population 17,000+). First named Mesquite Flats by Mormon pioneers in 1880, its settlers farmed cash crops; cotton and grapes. Today, it is a fast-growing destination for tourists, retirees and those seeking to live in a pleasant small town atmosphere (in a state with no income taxes). 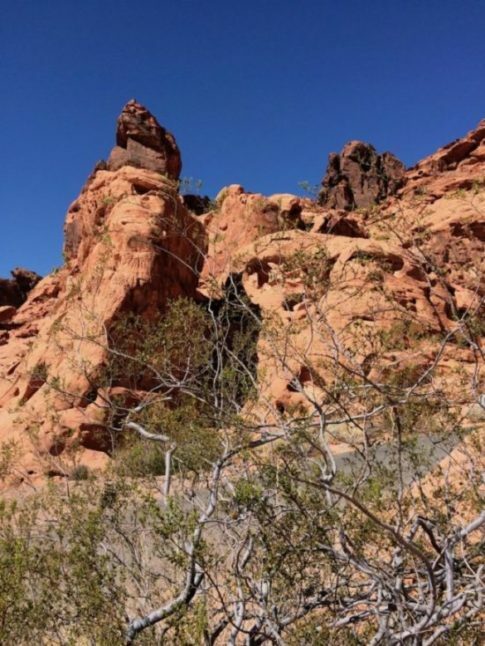 Outdoor Activites: Plan to visit the Valley of Fire State Park when driving to or from Las Vegas. It is the oldest state park in Nevada covering over 42,000 acres and designated a National Natural Landmark in 1968. Pack a picnic lunch and schedule several hours to explore. Close-by Zion and Bryce Canyon National Parks also make easy day trips. In town, there are seven championship golf courses. The Mesquite Regional Park Trail System is made up of five connecting paths. The Virgin Valley Heritage Museum offers a walking tour of downtown Mesquite, as well as an interesting collection of photos, memoirs, etc., of early settlers stretching back 130 years. 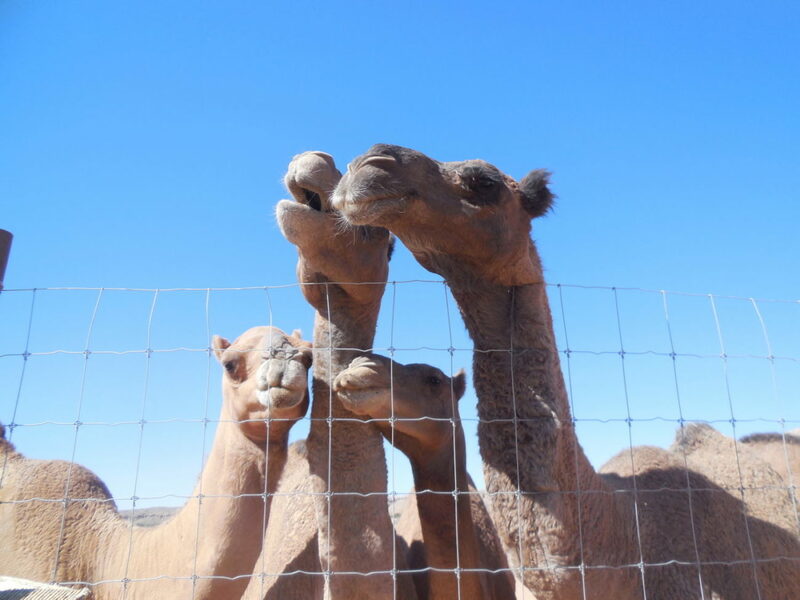 The Camel Safari, located on 176 acres (the historic Spanish Trail cuts through the property) offers up-close encounters, educational presentations, camel rides and Segway tours through the desert and along the Virgin River riverbed. Sightseeing: The Mesquite Veteran Center has a small library and a collection of signed memorabilia from locals. Its motto is “Serving Those Who Served.” That includes Vietnam Veterans, American Legion members, Veterans of Foreign Wars, Veterans Service Office and Veterans of Modern Warfare. 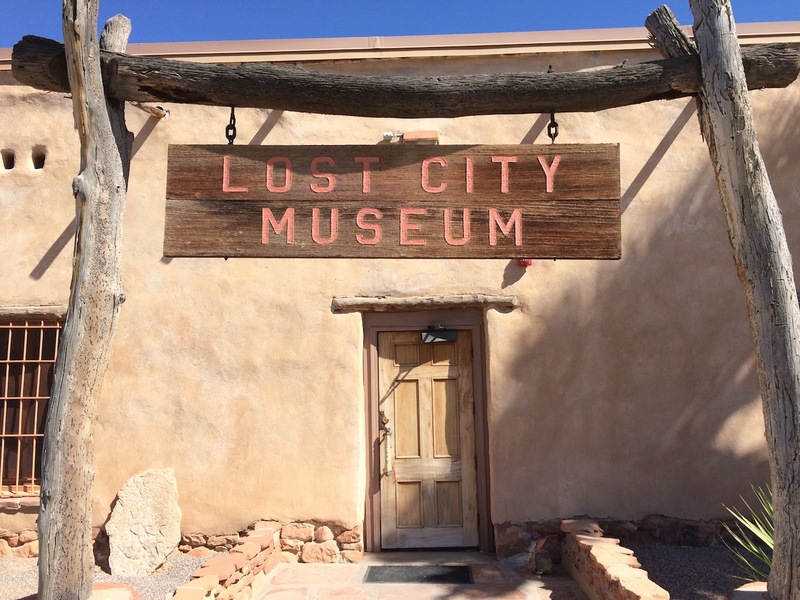 The Lost City Museum, in nearby Overton, showcases artifacts dating back thousands of years. The museum was built in 1935 by the Corp of Engineers and is next to the site which archeologists first excavated in 1926, The Mesquite Fine Arts Gallery highlights local talent. There are monthly exhibitions, lectures, classes and a gift shop featuring members’ art. Mesquite Sports & Event Complex: Public areas include five athletic fields, a seasonal splash pad play spot, a pavilion and picnic areas. Yearly soccer tournaments, flag football and long drive competitions are held at the facility. Nearby, the Rising Star Sports Ranch Resort is perfect for everything from youth sports teams to family getaways. “The Backyard” at the resort includes a park-like area with basketball and pickle ball courts, a giant chess board, picnic tables, barbecue grills, pool and spa. 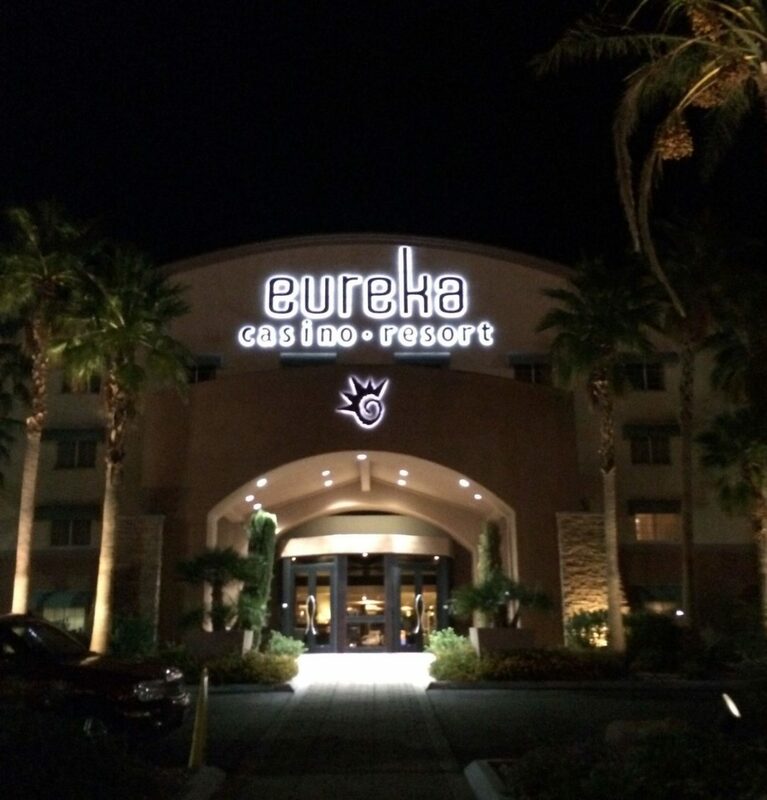 Where To Stay: The Eureka Casino Resort has a TripAdvisor 4.5 star rating. This family owned and operated full-service resort features four restaurants, a first-rate spa, casino with poker room, sports book, three lounges, heated pool, Wi-Fi, comfortable newly decorated rooms. And, there are no resort fees! The casual Mason Street Courtyard was my go to spot for breakfast and lunch. It features a classic diner menu or, if you prefer, a buffet. Reasonable prices, good food. Gregory’s Mesquite Grill is a steakhouse also serving seafood and Italian dishes complemented by an extensive wine menu. They have an outstanding $30 early bird special for a three-course dinner for Gold Card members. Don’t miss it. The casino has dozens of various promotions for slots, bingo, seniors, military, etc. The well run poker room was a bit of a hangout for me. It features cash games and daily tournaments. The Eureka Open, with a $20,000 Free Roll Grand Finale, is February 10 – 19. (check the website for tournament details). Make sure to join Eureka’s Gold Club for specials and to earn perks. Wrap Up: If you’re looking for a getaway with spectacular sightseeing, hiking, cultural and historic components, plus a top-rated casino resort, visit surprising Mesquite. For more information logon to the following. Thanks to various websites, etc., for information and photos. This entry was posted in Nevada, Poker and tagged casino, mesquite, nevada, poker. Bookmark the permalink.